Windows Server 2016 (code-named Windows Server vNext) - server operating system from Microsoft, which provides a new level of security and innovations for your applications and infrastructure of your company. Windows Server 2016 features based on cloud technologies allow to increase the competitiveness of the data center. Improvements in the field of computing, network infrastructure, storage and security systems provide additional flexibility to meet changing business requirements. Faster connectivity and adaptability are achieved through features modern platforms for applications like Windows Server Containers. 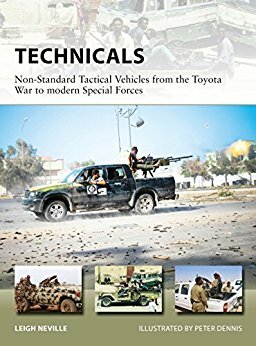 Over the last 30 years, the 'technical' or armed pick-up truck has become arguably the most ubiquitous military land vehicle of modern warfare.